The horrific ‘Muthi’ secret – using human body parts as ‘traditional medicine’. Why does the WHO promote the integration of traditional medicine with modern healthcare? A group of burly men surrounds a delightful three-year-old toddler playing in a park. Out of nowhere, the one man rips off the one arm from the unsuspecting toddler while the other man starts to cut off the other arm. The trembling legs follow and the bloody, unconscious, dismembered body is thrown into the bush to die. In this movie, the bone chilling screams from the toddler is needed as this enhances and strengthens the medicinal properties of the blood-spattered limbs. A scene from a Hollywood horror movie? No, this horrific scene is not from a movie, it is everyday life in some parts in the world. We are living this movie, although not many people want to talk about it. This horrifying slaying of a toddler happened just the other day – you can read about it here. The reason that this incident barely made the news is because this is not a unique case, it happens way more often than most people would think (for those who can stomach it – you can find more examples here and here or google “muthi killings” or “muthi murders”). How can human beings do something like this to an innocent child? Because most traditional, complementary, alternative and integrative medicines are belief based medicines underpinned by pseudoscientific principles. It is based on “magic”, something that modern science cannot explain nor confirm – or at least that is what advocates of these medicines claim. These people truly belief that a toddler’s limbs, and other body parts, have medicinal value. That many people from all cultures in the world continue to belief, and use their respective traditional health care systems, is due to many different factors. It ranges from lack of knowledge, distrust of modern medicine (advocates love to promote this aspect), inaccessibility to modern healthcare especially in rural areas in Africa, Asia and maybe even outback Australia, costs involved etc. Another aspect, and a growing cause of concern, is that trusted institutes such as universities defend and promote these pseudoscientific principles in order to balance their books. The trade in body parts for medicinal purposes, called the ‘muthi’ trade, is obviously banned and any perpetrator faces stiff penalties, and yet this heinous practice is not declining it is actually on the increase. Harvesting body parts from people (if you suffer from albinism you are a prime target) and children who are alive, as opposed to corpses, because this augments the medicinal properties, makes it all the more horrific. Similarly, the banned trade and use of endangered animals in Traditional Chinese Medicine (TCM) does not seem to have much of an effect, looking at the exponential rise in the number of rhinos that has being blasted to smithereens over the last couple of years. And here again you have people who belief in the magical healing powers of Rhino horn and people at respected universities who promote and support the underlying pseudoscientific principles which dictates that rhino horn, and everything that they fancy, is “lifesaving medicine”. This is the wisdom of traditional medicine! But can we, in western countries, point a finger to Africa with their muti murders or to Asia with their use of endangered animals, bodily fluids and parts and tell them that they are completely bonkers? I wish I could, but unfortunately I can’t. They can point a finger right back at the West because most western countries have embraced and are increasingly promoting their own pseudoscientific medicines such as homeopathy and chiropractic, and to some degree, TCM and acupuncture. They use clever marketing strategies and fake scientific terminology to achieve this and at the end of the day, children also die horrific deaths as more and more people are being misled or persuaded to use these modalities (deaths occur mainly due to a failure to provide effective treatments in time). But it gets worse in Western countries. Whilst the people harming their children with these “medicines” receive jail time the professors who defend and promote these practices are handsomely rewarded. Scientists complaining about these practices are ostracised whilst scientists promoting these practices are seen as local hero’s at these universities simply because they bring in loads of money from the CAM industry. So you find these pseudoscientific healthcare systems all over the world and in all cultures. The golden thread that runs through all of them; a superstitious belief that every single modality works for its intended purpose and nearly zero scientific evidence that any of it works. In a previous article I have written about the opposing and irreconcilable worlds of pseudoscience vs science. But how to create a happy ending to this horror movie? Most cultures used body parts in one way or the other albeit for sacrificial purposes, for medicinal purposes or even cannibalism – it is (or was) a common occurrence. Whilst this practice is still lingering on in some African (and maybe Asian) countries, the main current aim should be to take the magic out of it. So what better than expert advice and guidance from an independent and truly global organisation such as the respected World Health Organisation (WHO). They should work towards taking the magic out of it and the only way to do this is to convince governments to provide mass education regarding modern healthcare. Other issues that the WHO should focus on is to come up with strategies to overcome the logistical problems hampering modern medicine reaching rural areas and to make it affordable and accessible to all. They should even work towards an exit strategy to provide for the thousands of people making a living from traditional healthcare systems. To name but a few things. So in 2013 the WHO stepped up to the plate and published its much anticipated “Traditional Medicine Strategy 2014-2023”. This 76-page report, funded by China and the WHO Collaborating Centre for Traditional Medicine in Hong Kong, unfortunately contains very little or even no scientific information. No discussion on the trade and use of body parts or the pseudoscientific principles on which these “medicines” are based. No discussion of any science stuff such as promoting education, improved accessibility and cost effectiveness of science based effective medicines. There is an inability to accept that a specific CM is ineffective and should not be used. Instead the whole report revolves around the words “integrate” or “integrative”. This is what this WHO strategy calls for – how to better integrate T&CM, which is based on magic, with mainstream conventional medicine which is based on science. And this goes for homeopathy, chiropractic, acupuncture, TCM – disproven complementary medicines! It is as if the Australian based National Institute of Complementary Medicine (NICM) hosted at Western Sydney University has written this report. The agenda of the NICM? Accept millions of dollars from the CAM industry, lobby regulators including the WHO to give blanket support for all T&CMs, integrate pseudoscience with science and this in turn increase the sales figures of the CAM industry. So did the NICM write or influence this WHO report? Who do we find in the acknowledgements section? Michael Smith, an adjunct of the NICM and a registered naturopath (a.k.a. a pseudoscientist). The NICM would not be the NICM if they didn’t have a finger in the pie in compiling this WHO report and as stated on the NICM’s website “He was one of the primary technical drafters of the WHO Global Strategy for Traditional & Complementary Medicine (2014-2023) and continues to participate in WHO projects, working groups and consultations notably dealing with the regulation and policy setting related to traditional and complementary medicines.” And Michael is not the only one at the NICM who is intricately involved with the WHO. You can find more examples here, here and here. Lobbying and promoting T&CM – that is all that the NICM does. For the NICM this WHO report is extremely important because now they have a directive from the authoritative WHO and who can argue with that – they can use it to silence their critics. So they proudly follow the WHO’s directive, which they have pretty much written themselves, to; “promote universal health coverage by integrating T&CM services appropriately into health service delivery and self-health care.” That very few of these T&CM’s are effective does not seem to bother anyone, that supporting these pseudoscientific underlying principles is causing untold harm and death to many, including endangered animals, is flat out ignored. But the WHO rather chose to be politically correct, to be sensitive to cultural differences and to be influenced by institutes such as the NICM – who has a financial agenda. They use the logical fallacy, an appeal on popularity, as evidence for effectiveness and based on this the pseudoscientific T&CM needs to be integrated with conventional healthcare. So this horror movie does not have a happy ending – yet. As long as organisations such as the WHO can be influenced by the NICM and similar institutes there will be a continued, and dare I say, a growing support for the underlying pseudoscientific principles of these T&CM healthcare systems on a global level. This implies that you can go and ban the trade in human body parts or rhino horn all you want, if the underlying principles are not addressed, and people educated accordingly, these atrocious practices will continue unabated. So what is my issue. I hold anyone of any culture or from any country, and especially experienced scientists such as at the NICM, who promotes and defends pseudosciences responsible for these atrocities. I don’t care if you are involved directly or indirectly or intentionally or unintentionally, if you promote it you are responsible. And the consumers of all of these pseudoscientific products? Just remember, these companies use their sales figures, even if it is for “harmless” water as in homeopathic medicines, as main justification of effectiveness – an appeal to popularity! Buying their products leads to you unintentionally promoting a pseudoscience with the subsequent atrocities committed in far flung regions of the world. The WHO report might be music to the ears of the NICM and the CAM and TCM industry but spare a thought for the children whose ears are being cut off because of its purported “medicinal” value – they can’t hear the music. Unfortunately, if you fall for their trickery and you get hurt, then you will be all alone. The bureaucracy involved is extremely complex so the best thing to do is prevention. Stop buying complementary, alternative, traditional or integrative ‘medicines’ and stop using their ‘treatments’. Inform yourself and your family and friends about how these people play their game and what the dangers are, regarding these ‘treatments’. ‘Friends of Science in Medicine’ provides valuable healthcare information as well as the website of Prof Edzard Ernst, where he discusses everything complementary medicine (what works and what doesn’t). If you are interested in receiving automatic updates regarding the NICM and how they continue to promote these ‘medicines’ and ‘treatments’, you can always follow my Blog, Twitter or connect on LinkedIn. 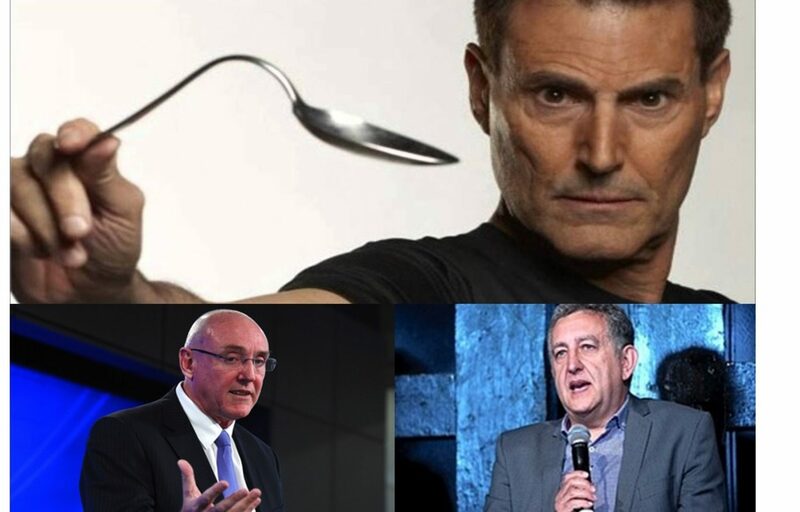 Some good news is that the NICM has won the Bent Spoon award for quackery in 2017 after being nominated for two years running. Unfortunately this had very little impact with the university (WSU) promoting the NICM, in early 2018, to a fully fledged “Health Institute”.